Clean Your Car the Green Way! We talk a lot about green house cleaning on this blog. It makes sense, since we are Asheville’s top source for environmentally friendly home cleaning services! We’ve written about green ways to keep your kitchen, bathrooms, laundry, and even your home electronics clean and organized. But there’s one topic we’ve never covered: green ways to clean your car. It’s not technically part of your house, but your car is, for all intents and purposes, an extension of your home. You rely on it to get you, your family, and your stuff where you need to go, and you probably occupy it every day for at least an hour or two. You pack your groceries into it, you put your gym bag on the floor, and if you have kids, they probably eat French fries in the back seat. Sometimes. With all that activity taking place in your vehicle, it can get pretty messy. It might even get dirty and smelly. And so of course, you clean it periodically. But are you treating your car with the same care as you do your living spaces when it comes to cleaning? There aren’t many green cleaning products on the market that are specifically made for use in or on automobiles, but it’s just as important to clean your car with non-toxic, environmentally friendly substances as it is your house. Maybe even more important, since everyone in the family spends time there in close quarters. So here is a brief guide to cleaning your car the green way. You can get your car sparkling clean on the outside and spotlessly fresh on the inside without resorting to toxic chemicals that can harm your health and the environment! Use a mixture of white vinegar and water to clean your windshield and windows on the inside of the car. Mix equal parts in a spray bottle, and if you want, add a little cornstarch, which will scrub off grime without leaving a residue. You can also add a few drops of essential oil to mask the vinegar smell. (If you don’t add essential oils, the vinegar smell will still go away in a couple of hours if you leave the car doors open to allow air circulation.) Spray the solution on the glass surfaces and wait thirty seconds or so before wiping them with a lint-free cloth in a circular motion. This should give you a streak-free clean. 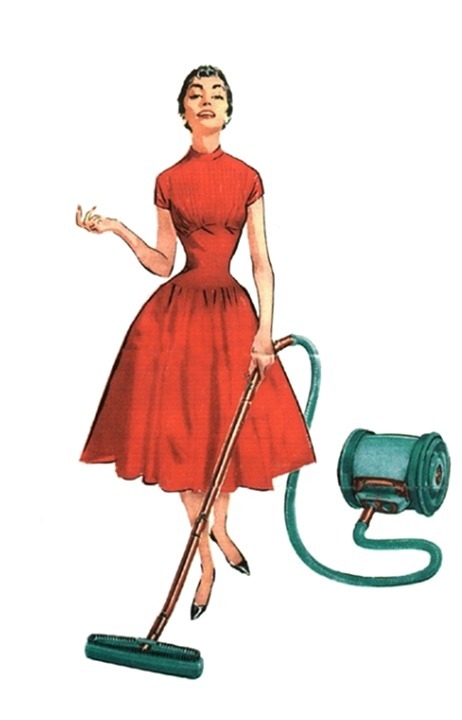 First, vacuum the floors and upholstery thoroughly. If you have any stains on your fabric upholstery or floor mats, you can tackle them with the same vinegar-and-water solution that you used on the glass surfaces. On leather or vinyl surfaces, toothpaste is a good stain remover. Again with the vinegar-and-water mixture? I know, it’s kind of redundant, but vinegar is such a great, green cleaning solution, and it works on so many different types of surfaces. For your dashboard, console, cup holders, etc., use the vinegar spray, but this time instead of spraying it directly on the surface, spray it onto a cloth and then wipe down the surface. This will prevent moisture from seeping into nooks and crannies. You have a couple of options when it comes to green solutions for odor control in your car. One is to make your own scented air freshener, using just water and a few drops of your favorite essential oil. You can spray it on the floors and upholstery while you’re cleaning the car, or you can just keep a bottle in the car for regular use. Another method is to sprinkle baking soda on the seats and floor, leave it overnight, and vacuum it up in the morning. The baking soda will absorb any unpleasant odors. Here’s the fun part. Fill up a few buckets (four ought to do it for a sedan) with warm, soapy water. Use a plant-based soap with no bleach, no harsh additives, and no added enzymes. Apply the soapy water with a sponge made for washing cars, or you can use an old t-shirt. Just make sure that whatever you use is non-abrasive. Get all soapy and wet (don’t forget to get the car soapy and wet, too), and then empty your buckets, fill them again with clear water, and rinse! And that’s it! We hope you found this guide helpful for cleaning your car the green way. We don’t clean cars, but we do clean houses! If you’re looking for a highly efficient, green house cleaning service in the Asheville NC area, drop us a line or give us a call at 828.505.7320. Whoever figured out the secrets of mass-distilling essential oils deserves the thanks of every green homemaker! Many of these lovely smelling potions were once so expensive to produce that only the wealthy could afford them, and they were used almost exclusively for perfumes. But now, they are affordable enough to use on a daily basis for home cleaning purposes, which is particularly wonderful since science has shown what amazing cleaning properties they have! If you’re not already stocking your cleaning supplies with essential oils, you definitely should! Here are our six favorite essential oils for home cleaning. Lavender- With its soothing herbal scent and powerful antibacterial properties, lavender oil is a great natural cleaning aid to have around the house. It’s also one of the easiest essential oils to find in stores. Experiment with adding it to homemade or unscented dish soaps and laundry detergents to freshen your home. Tea Tree- Tea tree oil (or Melaleuca) is one of the strongest natural antifungals available. It’s also antibacterial and antiviral. Use it in a water-based spray to clean counter tops and bathroom surfaces, or to prevent mold growth in the shower. You can also make homemade antibacterial wipes, gels, or hand soaps with this wonder of nature. Lemon and Orange- Citrus oils, especially lemon and orange, are excellent at cutting grease, while filling your home with a sunny, sweet aroma. Use them mixed with a carrier oil like olive oil for wood furniture polish and natural wood floor cleaner, or by themselves to lift grease from the stove-top. Lemon oil is also antibacterial and antiviral—so combine a few drops with water in a spray bottle to use as a surface disinfectant. Rosemary- Use rosemary oil as an antibacterial and antiseptic air freshening spray. Its fragrance is warm and earthy, and many people say that the scent of rosemary helps improve their focus. Scientific research has shown that rosemary oil contains compounds that could have a positive effect on memory, so definitely use this spray if you’re constantly forgetting where you put your keys! Peppermint- Peppermint oil is another great antibacterial choice, and its cool, fresh aroma makes your house smell like Christmas! It’s also an effective pest deterrent for spiders, as well as ants, flies, and other insects. Thyme- This oil is one of the most effective germicides Mother Nature has to offer. It’s even effective against salmonella, so you can use it in a soap or spray to clean cutting boards and other surfaces that have been touched by raw meat. 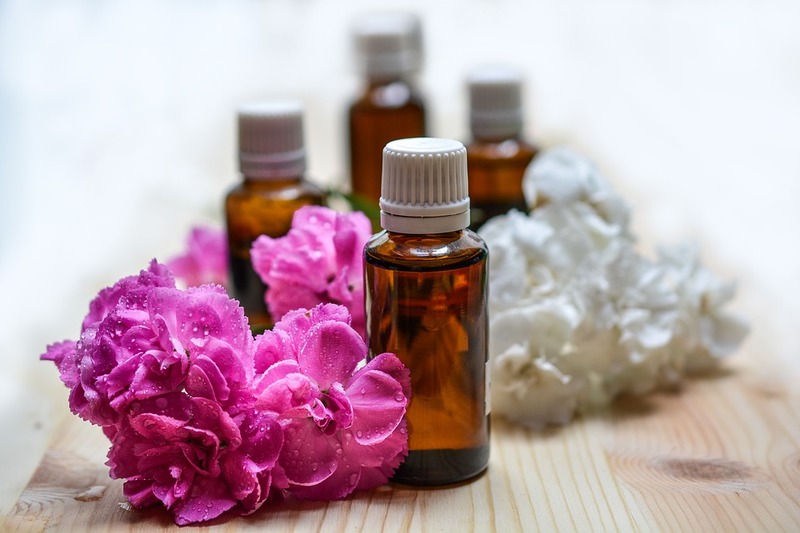 At Green Home Cleaning, we use essential oils in our homemade cleaning products to ensure a deep clean and an uplifting mood in our clients’ homes. If you live in the Asheville, NC area and would like to see the difference Green Home Cleaning can make for your home, give us a call at 828.505.7320 or drop us a line via our contact form. You just got home from work, picking the kids up from school, and stopping for groceries, when you receive the dreaded call. You have relatives popping in for an unannounced visit—tonight! It’s Friday, and you haven’t touched a mop or dust rag since the weekend. Looking around your home, it seems like you’ll never get the place whipped into shape and still have time to make dinner. So what do you do? Enlist help. The kids. The husband. The Roomba. It’s crunch time, so make sure everyone is pulling their weight. Gather your supplies. You need a sturdy utility apron for just such occasions as this. If you don’t have one of those, a compartmentalized bucket will do. Put every cleaning product and tool you’ll need in the apron or bucket, apart from larger tools like mops, brooms, or the vacuum. Make each move count. As you’re cleaning, carry your supplies around with you, and always put each spray bottle and tool back in the same spot. You can’t waste time making trips back and forth to find the thing you need, or rummaging around in your toolkit. Don’t bother with the rooms your guests won’t go into. In fact, since this is an emergency situation, we give you permission to temporarily store any clutter in the laundry room. If it’s not dirty, don’t clean it. Don’t fuss with upper baseboards, vertical surfaces, or anything else that does not look dusty or grimy. Make one circuit around the room. Don’t skip over things. This is an extension of “Make each move count.” Instead of zigzagging from one end of the room to the other and back, start at one end of the room and work your way around. Clean from top to bottom. As you clean, dust and dirt get knocked off of surfaces higher up, and onto surfaces lower down. So start high, and gradually work your way down. Do the floors last. Focus on what you’re doing. If you’re thinking about that TV show you want to catch up on, or what your boss is going to say about x project, or where you’d like to go for vacation, you’re going to miss things and have to waste time coming back to them. Give your attention to the task at hand, and things will go much quicker. Order a pizza. Your relatives can’t really expect you to whip up a home cooked meal on such short notice, can they? Order a pizza with their favorite toppings. While you’re waiting for the delivery guy to arrive, take a nice hot shower. You deserve it!